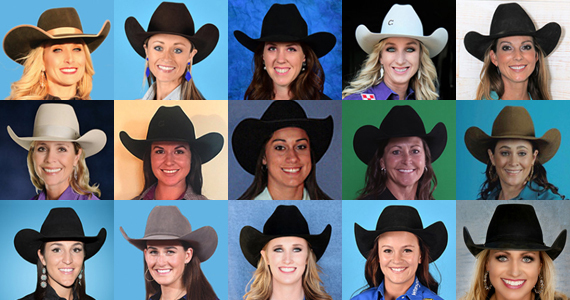 So before the gates crack open on December 7th, let’s dive in and get to know these these amazing women and their horses (including pedigrees) who will entertain, educate and inspire us – at the 2017 NFR and beyond! Having Show Mance come back to win Calgary after a near death experience from a bad reaction from antibiotics. The second would be setting the arena record there. Having John Gwatney call me Shooter and tell me good luck as I go down the alley. His face is always a reminder of what this is… where we are… and he is the “Boss” of “Bosses.” When I see him and that alley… I will know, I have my work and job to do right then and there. Like every other run. Show Mance is a winner. He finds a way to win. I pray I can do my best so they can do theirs. Which reality show would you last the longest on: The Voice, Dancing With the Stars, America’s Got Talent or Survivor and tell us why? I’d be too shy to sing. I can’t dance! And unless my best trait is a talent… which I highly doubt… I’m out on that one too. Kind of like what horse will you ride? I work backwards… what horse will you NOT RIDE. And what show will you not do well on. So Survivor is me. Plus doesn’t hurt I’m kinda handy as well. 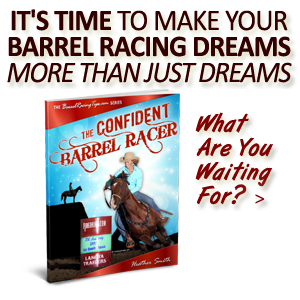 Which former World Champion Barrel Racer would you seek rodeo advice from and why? 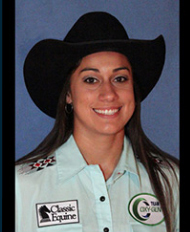 Although not a world champion, Tammy Fischer is my go to gal! Winning Cheyenne Frontier Days on a 5-year old (Sharpie) with the owners (Matt and Bendi Dunn) getting to be there and winning third overall at Calgary. Just enjoying the whole experience! It will be somewhat of a relief just knowing where everything is at from my experience last year. Record breaking and amazing but with more opportunities it brought on more responsibility and stress! Truck liked it last year! So I’m hoping he feels the same again. He’s hard running and aggressive, you just have to do your job as the jockey. Same with Sharpie. It’s just important to ride position on him and I think Sharpie is capable of being great in the T&M. I’ll let them tell me who gets to run each night based on how they are feeling. The cool thing is they both earned their spot to run down the alley. Survivor because I don’t sing or dance in front of people and not sure about the talent show. I’d give it heck trying to survive! 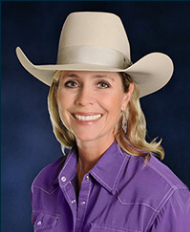 Sherry Cervi because she obviously knows what to do and what not to do from her success on the road. Plus I have a lot of respect for her. There are three highlights I feel like really stood out this year. Winning Reno (Nev.) and St. Paul (Ore.) was a big deal as those two rodeos mean a lot to my family. They have been on my “bucket list” of rodeos to win, so to finally say that I won first at those two rodeos is really special for me. Winning second at the Calgary Stampede is the other one because it solidified my spot in the Wrangler NFR and was the biggest paycheck I had ever won. I have so many memories in Las Vegas. I lived there for a couple of years while I attending UNLV and college rodeoed for the team there. I met my husband and got married there. Also made the NFR in 2010 on Blue Duck, so I always love to go back to that city because there are so many special memories and places I like always like to revisit. However, I will mostly focus on the rodeo and my horse this time around and keep the shenanigans to a minimum! Sister has been so consistent all year. She loves to come running down an alley. She loves a big crowd and a night performance. She is a very smooth turner, so I think she will do what she has done for me the whole year and hopefully it will work out for us. Well…I can’t sing, dance or have a really cool talent, so I guess I would have to go with Survivor. I have never even watched that show, so I don’t know what I would be signing up for! I would say Charmayne James as I would like to ask her how she got Scamper to last for so many years. Her longevity and consistency is amazing to me. Being back at the T&M for another 10 days! Also spending time with the fans and signing autographs. Hard running and hard turning. Paige and I are excited to get to make another run down that alley at the T&M! Not sure who I would choose as each one of them has something different to offer. Was proud to win both the Diamond & Dirt slot race and RodeoHouston within a couple week time period. 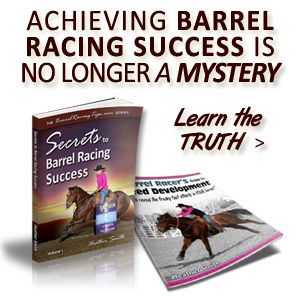 Prior to winning RodeoHouston, I hadn’t considered even attempting to make the NFR again. 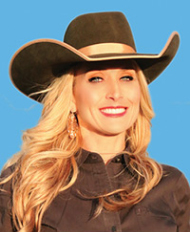 I am looking forward to competing against the top rodeo competitors and spending time with my family. Exciting and challenging trying to balance rodeo and futurity competition. 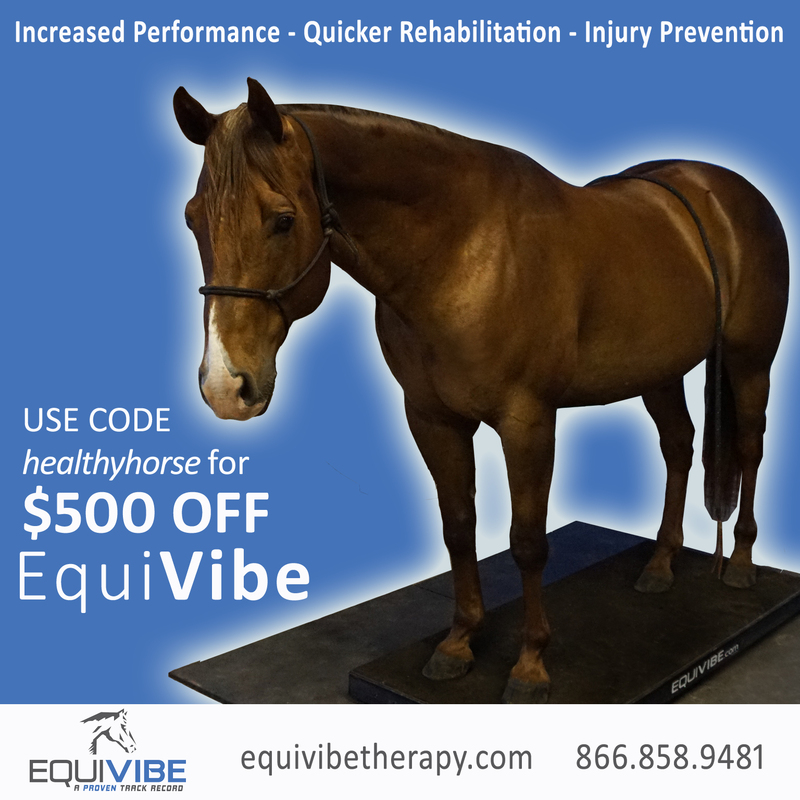 My horse has been very consistent and is capable of being competitive in most setups. My challenge will be to keep him focused on his job instead of the distractions. I don’t have much talent other than horses and I am gone so often I rarely have much food around at my house. It is a half hour each way to find a place to eat, so anyone that has stayed at my house knows Survivor is the easy choice. 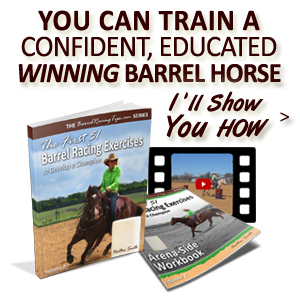 Every rodeo contestant – World Champion or not – has willingly provided guidance. The amount of teamwork among all the competitors has been refreshing. Winning second at the San Antonio Rodeo on Issy and earning $24,000. It was my first time there and I didn’t have many expectations but Issy placed in every round and ended up second overall. It was pretty cool. 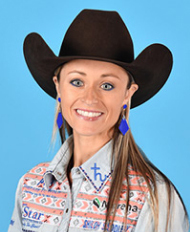 The second highlight was finishing second at RodeoHouston on Ruby and pocketing $28,000. Again, it was my first time there and I had heard how tough of a pen Houston was, so I didn’t have many expectations and we had to get to the final round through the Wildcard but we had some good luck and it worked out really well. I have been to the NFR as a spectator a few times and the energy in the Thomas and Mack is amazing. I am really looking forward to feeling that energy as a competitor! Describe your 2017 season: Amazing and incredibly LUCKY! Issy never stops running. We have had most of our success in small indoor pens, so I sure hope it will suit her well! Ruby does well indoors also if I need to ride her. She is more ratey but real honest. I love to sing in the truck while driving but really am not good! I still dance like a toddler and without fast food I wouldn’t “survive,” so hopefully barrel racing would be a talent and I would last a while on that. So hard to chose but Sherry Cervi is such an amazing and consistent rider and trainer, which I am always striving to improve on. She has been to the NFR so many times, she obviously knows what it takes. Making 10 runs in the Thomas and Mack. I have dreamed of running down that alley my whole life! Mind blowing, thrilling, a roller coaster and many lessons learned. Sister is exceptionally quick between the barrels. She doesn’t waste time, and I think in that small arena, her efficiency will help us be fast. TJ is a big horse and makes really big, strong turns. Both of them are very honest and don’t try to hit a barrel, which has been a great asset to me. I think they would both feed off the energy in the Thomas & Mack. Survivor. I’m pretty tough I would say. The others require some major talents that I definitely do not have! 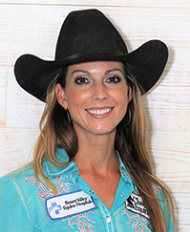 There is a lot to learn from each of them, but the one I admire the most and would probably wear out with questions is Sherry Cervi. Getting to do what every little girl dreams of – running down the alley of the T&M. Simply amazing. I’m not sure another year can top 2017! I think they will all do well in the T&M. They are all three different in some ways but indoor or outdoor, they handle well. Survivor. I can’t sing, don’t have any rhythm to dance but I can survive on nothing. 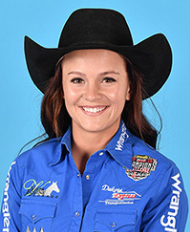 I would say Charmayne James, as winning 11 times is simply amazing and also Sherry Cervi. 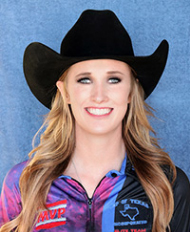 What horse(s) will be riding at the NFR? Setting an arena record at Lawton, Okla., on Rosa and competing and winning a bronze medal at the Days of ’47 Cowboy Games and Rodeo. Both were very special. The only thing I look forward to in Las Vegas is competing for 10 days! A prosperous July and early August made it all possible. Thankfully Louie seems to like the Thomas and Mack and is quite adaptive to all situations and environments. I wouldn’t last long on any of them and that is why I better just stick to barrel racing. I guess I have not been one to seek much advice from anyone, but Grady (my husband) gets asked a lot for his advice! The biggest highlight of the year was having our daughter, Tinlee. The other highlight was being able to rodeo as a family and enjoying every second of being parents and to do it all as a team. It seems like it has been so long since I last went, so I am going to enjoy every moment. After 9 consecutive qualifications I kind of took it for granted that I would always be there, and then Duke got hurt and I had to start all over. I’m looking forward to that first run down the alley! This season was incredible, crazy and a year I will never forget. 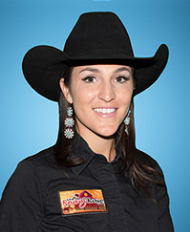 I plan on running Steeley all 10 rounds and think she is going to be a perfect match for the Thomas and Mack. Jana Bean ran her in five rounds last year and did very well, so I’m itching for my turn to run her! I would say Dancing With the Stars. I love to dance! I’m not saying I’m good at it but I think it would be fun. 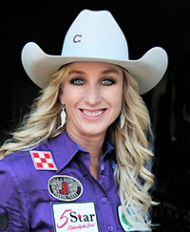 Sherry Cervi and I have become close friends over the years and she is my go to girl. 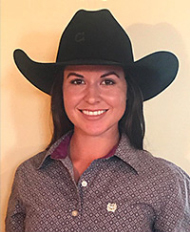 She is a vault of knowledge from rodeo to horses to life in general. She really helped me get through some tough times and feel like we can relate on all sorts of topics. Having the fastest time at RodeoHouston on Famous Heartbreaker and winning third at Pendleton on Mr Famous Jess sealed our spot for the 2017 NFR. I love getting to share the NFR experience with my friends and family who worked just as hard as I did to help qualify us for the finals. My 2017 season was a roller coaster ride that I’m glad I finished. Heart’s running and turning style will absolutely fit the Thomas and Mack. She is gritty but will be light when you need her to be. Jesse is very consistent and Selena loves small patterns and usually clocks just behind Heart in a set-up like the T&M. 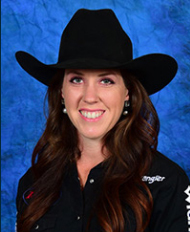 I’m blessed to have a great team leading up to the 2017 NFR. Dancing With the Stars. I was in cheer and dance for 12 years growing up. 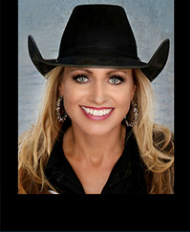 Charmayne James or Sherry Cervi as their experience is priceless. My first highlight would be winning the Helldorado Days Rodeo in Las Vegas in May because it was my first win on Dirty Dan. I had only had him for about a month and it made me realize he had the potential to make it to the NFR someday. My second highlight would be placing second in Nampa, Idaho, because it was the week after I hurt my back and it was such a reassurance that I would be able to compete so soon again after my injury. I am just looking forward to ten days of getting to run down the alley of the Thomas and Mack, something I have dreamed about for as long as I can remember. Hard trials but yet moments that made every trial worth it. All of my horses have pretty different styles. While Dirty Dan tends to be really ratey, he has only competed in a handful of small arenas and seems to be a little more free when he runs consecutively in the same pen. Commander is pretty unpredictable and can be really spooky so the Thomas & Mack may be a little overwhelming for him, but he is so fast that he tends to make up for mistakes. Tic Tac is by far my most consistent horse. I have had Tic Tac since middle school so I have had many experiences running him in all types of pens. Survivor – I am incredibly tone deaf and have no dancing abilities. I think living in a trailer for five months is pretty close preparation for Survivor. 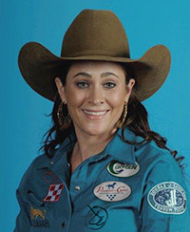 Although not a world champion yet, I would seek rodeo advice from Lisa Lockhart. I have always admired her riding style and the consistent way in which she rides each one of her horses. My first highlight of the 2017 season was starting off with winning the National Western Stock Show and Rodeo in Denver. My second highlight was winning one of the toughest rodeos in Stephenville, Texas, which punched my ticket for my first ever Wrangler National Finals! I am looking forward to running down the alley in Thomas and Mack! It gives me goosebumps even thinking about it. I also am very excited to meet all kinds of new people that have followed my journey! A roller coaster ride filled with excitement, tears, mental toughness and physically exhausting. LoLo’s running style is very simple – the more I leave her alone the better she works! The first barrel is going to be a little tricky for me to get down on LoLo. She likes a longer run where she can see it and shut down on her own. With the barrel being right out of the gate at the Thomas and Mack it could be tricky. Muffin is different – I can run as hard as I want to the first if it’s a long ways or super close, she will find all barrels with no problem! The harder I ride the harder she turns. These mares give me all their heart no matter what! I’m very excited to run in the Thomas and Mack. I would have to say I would last the longest on the TV show Suvivor! If anyone has ever tried to travel around the world and rodeo they know that you literally have to survive! You never know what will be thrown at you! Like blown tires, blown turbos, crazy weather, animal encounters, etc. 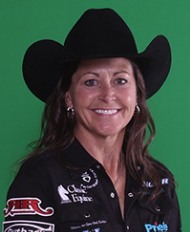 While not a world champion yet, Lisa Lockhart has been my idle since I was a little girl. Her mentality and confidence out here on the road is unreal. I would love to get the chance to talk to her and see what she does to keep so focused and how she handles pressure so easily. My season was a roller coaster ride. Famey is little & scrappy. I’ve never ran her in that kind of set-up, so we will definitely be practicing for it. JLo is a tall mare with a huge stride. She runs super true, a free runner. I also haven’t ran her in that set-up very often and will be practicing for it. Tibbie is dirty fast. She has so much heart & try. If you can get her to back off a little bit, she’s extremely hard to beat. As long as her and I are in tune, unlike last year she should really shine in a Vegas setup. Probably Survivor because that’s basically that rodeo is! 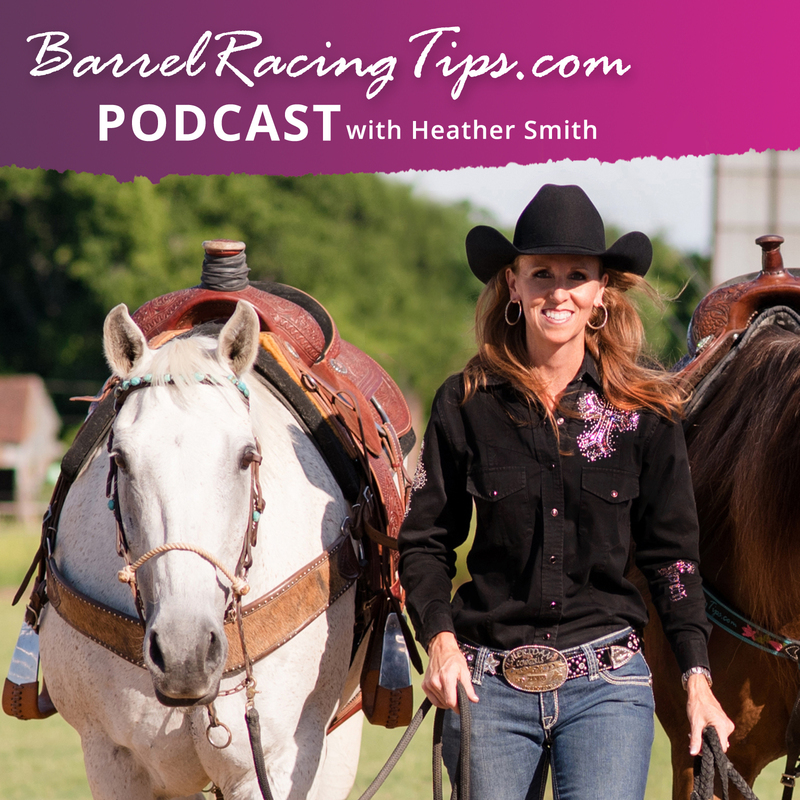 Which former World Champion Barrel Racer would you seek rodeo advice from? Without a doubt, Jimmie Munroe! I am most looking forward to getting to have my friends and family with me. Most of the season I am rolling solo. You go through life in a series of peaks and valley and my season was no different. Foxy runs hard and turns hard. She loved the T&M last year, so I hope she likes it again. Rodeo is basically a game of Survivor. I feel like I have already been on the show! 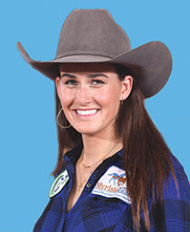 Mary Burger because she has trained horses that have been successful in every level of our industry. The 2017 NFR action starts on Thursday, December 7th and will be televised LIVE nightly through December 16th at 7:00 Pacific, 8:00 p.m. Mountain Time, 9:00 Central and 10:00 p.m. Eastern time on the CBS Sports Network. 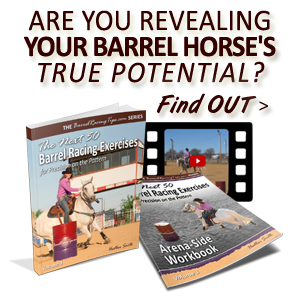 In Search of SPEED - How to BE Explosive on the Barrel Pattern!